“When I began using pAGG by NHS in January of 2012, I weighed 257 pounds at 6′ 3”. I had gained weight throughout college and finally decided to take action during my last semester of school. Since using pAGG, I now weigh 215 pounds, dropped to a 36 pants size from a 42, and have never felt more in control of my body in my life! Although I also made changes to my diet, pAGG has been essential by providing energy throughout the day and also suppressing my appetite to prevent cravings between meals. I rarely exercised during the first three months, so diet and pAGG were 90% of what was driving my results. Now, I lift weights 3 times a week and just started running one time a week, but I still rely on pAGG to help me control my hunger around the clock. I am much more confident in myself than I have ever been over the last four years and I am so happy I discovered this supplement to assist me. What I like most about this supplement compared to other weight loss pills is that it does not use stimulants as its main ingredients. I have tried other supplements and was not happy with how dependent it made me become to caffeine just to get through a day. pAGG alone will not be your silver bullet to losing weight, but it certainly makes reaching your goals much more attainable! Thank you Frank for letting us use your testimonial to inspire others to take on their goals. Frank has completed what many 22 year old men are looking to accomplish: Gaining confidence by conquering goals. 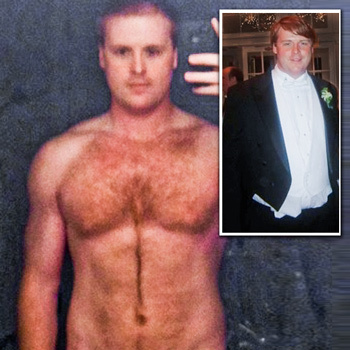 With a diet change and supplements, and not much else, Frank was able to achieve tremendous results in 3 months. If you are looking to go from soft to strong like Frank, then what are you waiting for? If Frank can do it, you can too. If you have a comment or question for Frank, submit it to us and we will forward it to him on your behalf.